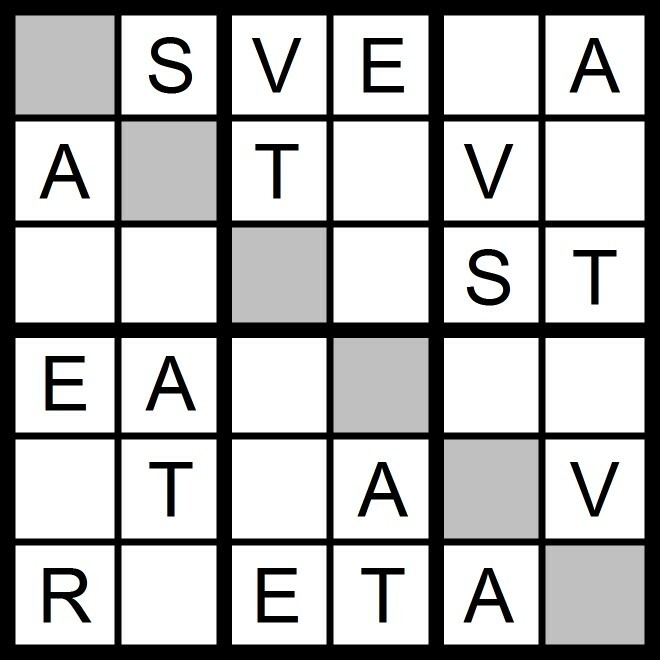 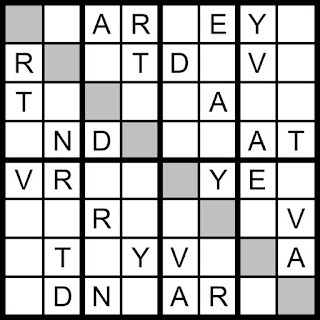 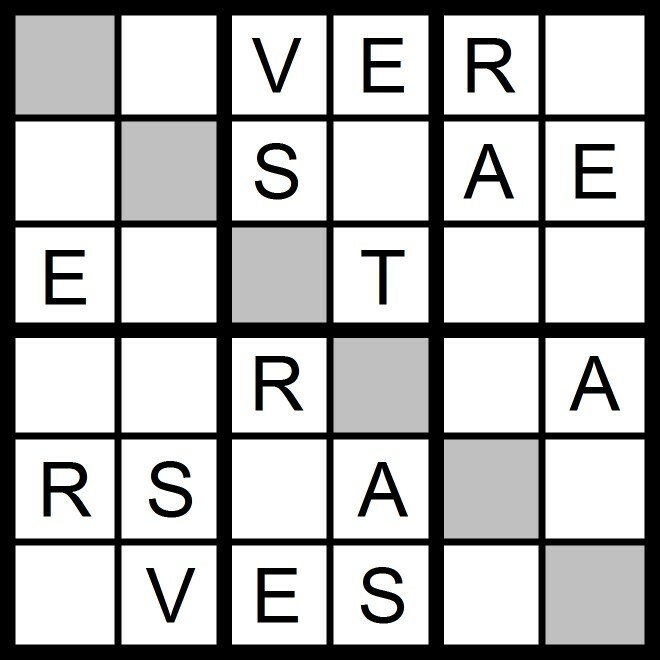 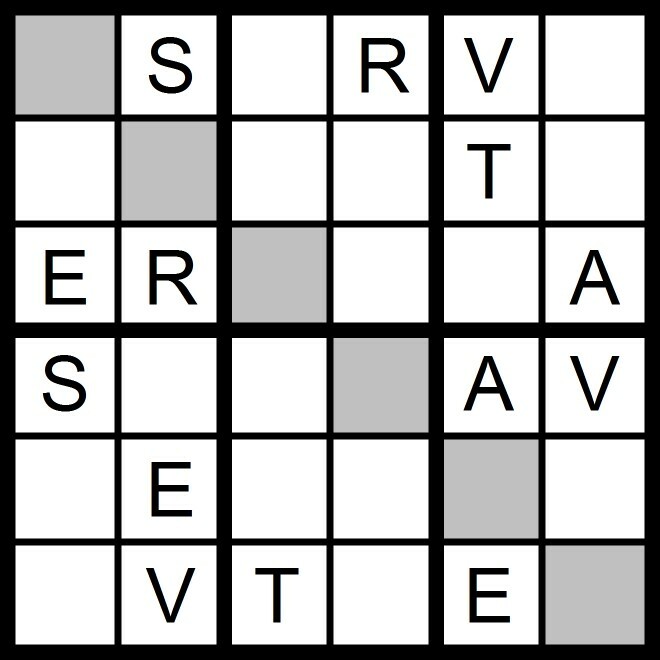 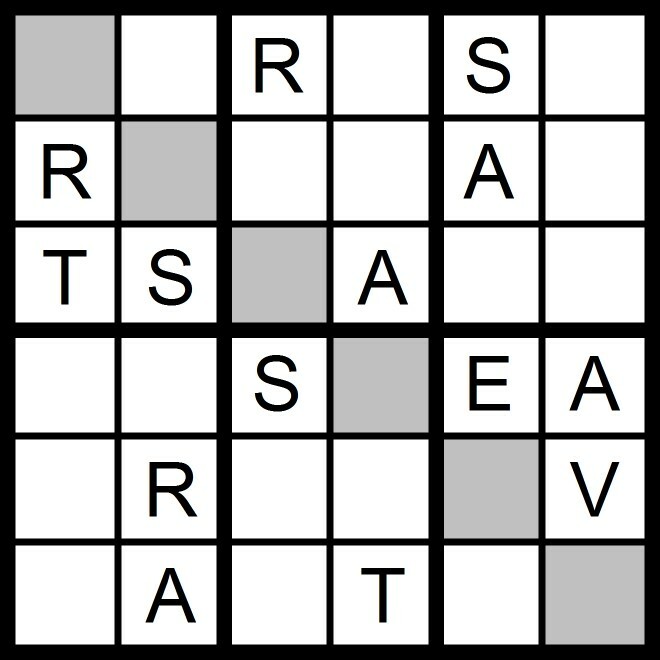 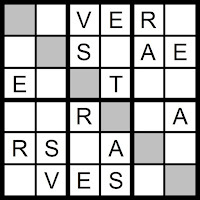 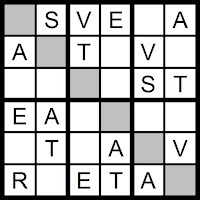 Today’s extra puzzles use a similar theme to the daily puzzles this year. 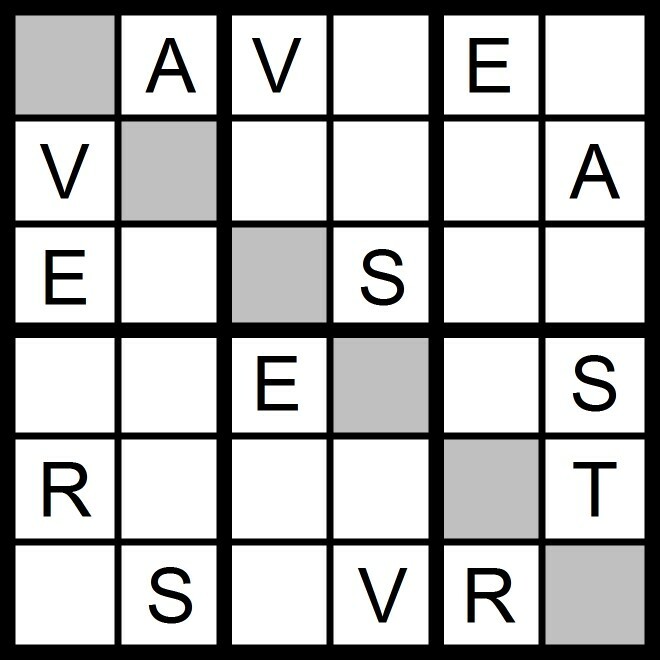 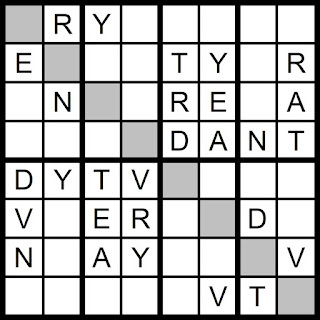 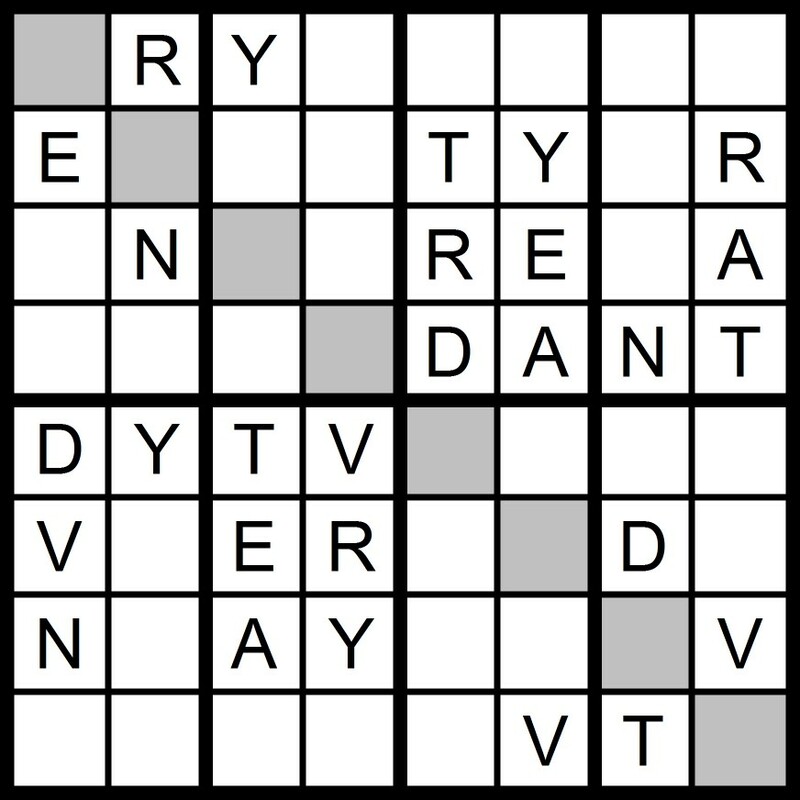 The daily puzzles use only the distinct letters in the names of the year, TWO THOUSAND FIFTEEN and TWENTY FIFTEEN. 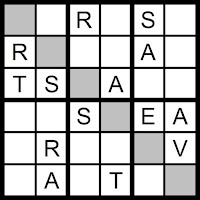 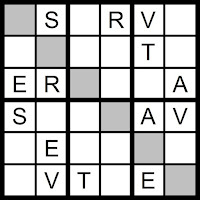 The extra puzzles that show up on some of this year’s holidays use only the distinct letters in the name of that particular holiday. 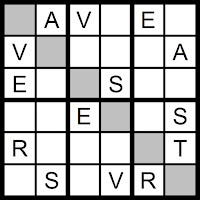 So today’s puzzles only use the distinct letters in VETERANS DAY. 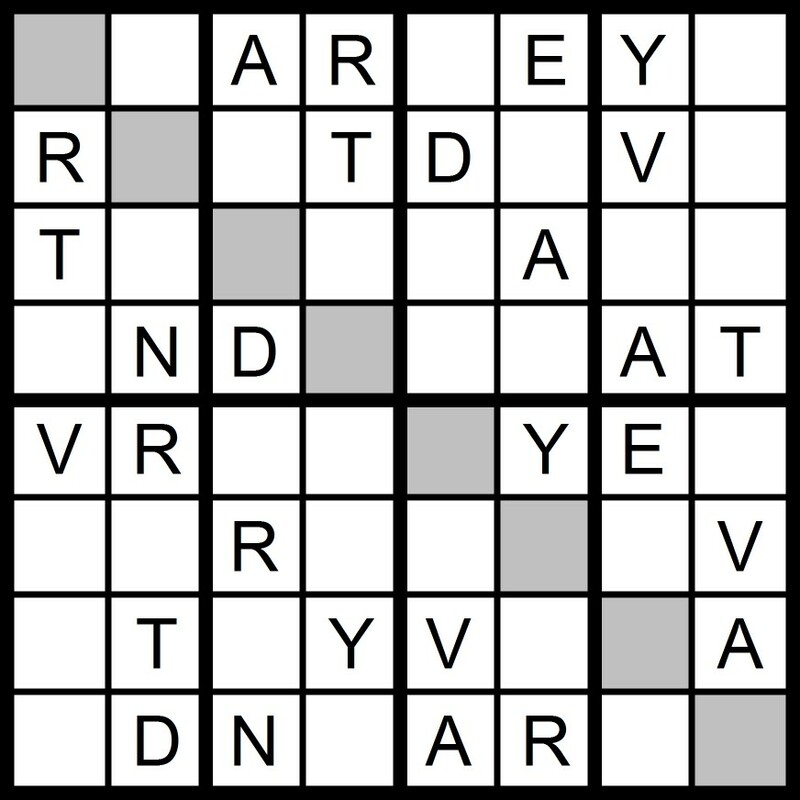 While each puzzle spells out a different word or words, puzzles of the same dimensions all use the same letters!